Where does Columbia's water come from? Columbia gets its water from the Broad River Diversion Canal (Canal) and Lake Murray (Lake). The Broad River collects water from a large portion of northern South Carolina through the Broad River Basin while Lake Murray receives water from the Saluda River Basin. The South Carolina Department of Health and Environmental Control periodically assess the quality of source water for drinking water systems throughout the state. Is Columbia's water safe to drink? The City of Columbia uses a series of treatment techniques to produce potable (drinkable) water. As water is pumped into the treatment plants, intake areas screen out floating debris. Aluminum sulfate (alum) and other additives are rapidly mixed into the water to help particles in the water cling together (coagulate) and form heavier particles, referred to as floc. The water mixture is then gently agitated so that the coagulating particles continue to merge into larger floc particles. These floc particles pass into a sedimentation basin where they settle to the bottom and are eventually disposed of. The clear water is taken from the top of the sedimentation basin and flows to the filters. Filtration removes any remaining particles. The water passes through filters containing layers of sand and anthracite coal. Small floc particles cling to filter material as water passes through. 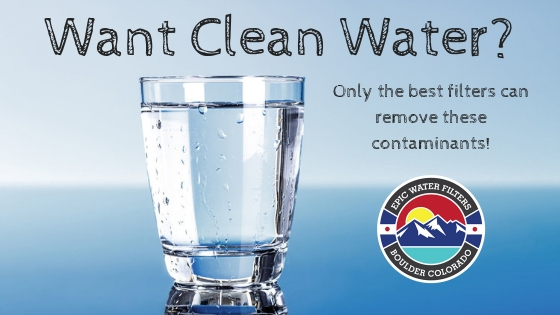 After all particles have been removed, a small amount of disinfectant is added to the water to keep bacteria from developing as it travels to your home or business. A small amount of fluoride is also added to the water to assist in preventing tooth decay. Finally a small amount of corrosion control chemical called orthophosphate is added to control lead and copper corrosion in the distribution pipes and in the privately owned pipes that lead to homes or businesses. Treated water is finally pumped to our customers at a pressure ranging from 80 to 125 PSI (pounds per square inch). Chlorate is an anion that can enter drinking water from several potential sources, including from hypochlorite or chlorine dioxide disinfectant use, ozone oxidation of hypochlorite or chlorite and source water contamination from pesticide runoff or papermill discharges. Chlorate impairs thyroid function, making chlorate exposure most harmful during pregnancy and childhood. Thyroid & Pregnancy: Chlorate forms in drinking water as a byproduct of disinfection. Chlorate impairs thyroid function, making chlorate exposure most harmful during pregnancy and childhood.